A lot of people hate doing yard work, so this could be a great opportunity for you to earn some extra money. Offer to rake leaves, shovel snow, clean gutters, or trim hedges for a specific fee. Even just offering to rake a few yards or shovel a few driveways could bring in a significant amount of money. You might find yourself surprised by how many people are happy to pay you to do the yard work they’ve been putting off. Do you enjoy blogging in your spare time? Or maybe you really enjoy taking photographs or doing graphic design. If so, you should think about hiring out your skills on a freelance basis. There are plenty of sites online that are looking for freelancer workers, such as freelancer.com or elance.com, and many newspapers or companies often look for freelance employees around the holidays. Are you known for your baking skills? Or maybe you’re amazing at making handcrafted pieces of furniture. You may also have a variety of hobbies or skills that you could turn into something profitable. Whatever your hobby or skill, you should think about trying to monetize it. Whether you want to advertise in person or online, this can be a great way to earn some extra money during the holiday season. If you have a strong background in a certain career field or hobby, you could also think about giving lessons or tutoring. If you have an impressive academic background, you may be able to earn some extra money helping out high school or college students. If you really know your way around instruments, consider giving lessons a few times a week. Another option to earn some extra money during the holidays is to pick up a seasonal job. Many retail stores look for extra help around the holiday. While working at the counter of a department store or making coffee at your local coffeeshop may not seem ideal, it’s an easy way to earn some money. 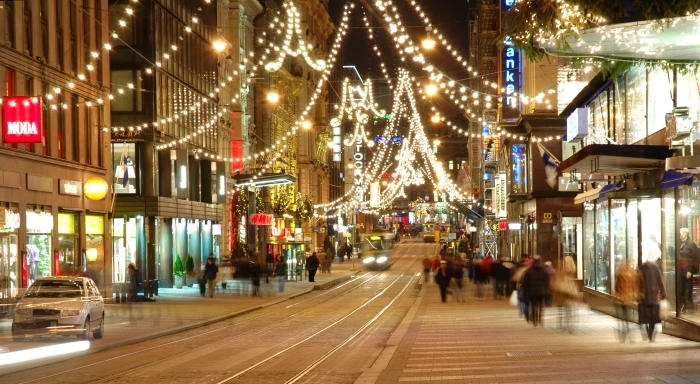 People are extremely busy around the holidays and often don’t have time to run errands. If you have the time and resources, you can offer your services as an errand runner. This could be something as simple as offering to pick up or drop off packages, cards, and gifts or something as intense as buying all the presents on someone’s list. Most of us have items hanging about the house that we never use. If you’re looking to make some extra money, try selling some of your unused or unneeded possessions. There are a variety of ways to do this, whether you want to host a garage sale, put up flyers in places around the city or town, or sell them online on eBay, Amazon, or Craigslist. If you currently work at a job where you’re allowed to work overtime or pick up extra shifts, you might want to consider doing so. If your employer allows you to work overtime, this might be the easiest way to make some extra money during the holidays. While it’s probably not your preferred way of making extra money, it might be the best choice. A lot of people go away around the holidays and might want someone to housesit. Some people tend to be worried that someone may break into their house when their gone or may have plants or pets that need to be taken care of while they’re away. If you don’t have any other plans and it’s not too inconvenient for your schedule, you should consider hiring yourself out as a housesitter. Another great way to make some extra money around the holidays is offering your services as a childcare or petcare provider. Many parents want someone to watch their kids for a couple hours so they can go out holiday shopping. Additionally, many people often need someone to watch, walk, or bathe their pets because they’re too busy to do so around the holidays. It’s definitely worth your while to consider babysitting or petsitting for friends, family, or acquaintances this holiday season. We’re all told that saving money is a good thing. However, sometimes how we save money can be counterintuitive. No one wants to waste money when they think they’re really saving it. Sometimes people are so concerned about saving money that they forget they sometimes need to spend it as well. Saving for a long term goal may be nice, but not at the cost of car or home repairs. And sometimes it’s necessary to replace ragged shoes or clothing. There’s a fine line between saving money and being stingy. It’s also a bad idea to choose saving money overpaying for groceries or utilities. If you’re not in dire need, why would you rather put that money into the bank instead of pay for groceries or pay your monthly bills? There are times when spending money on necessities outweighs saving money. There are still quite a few people who refuse to use banks or credit unions. While not trusting the banking industry is understandable, even earning the smallest amount of interest on your savings will make you more money than keeping it in an old jar at home. Have you ever gone out of your way for a great deal? Maybe there’s a specialty food market an hour away that has the cheapest deals on some of your normal grocery items. This isn’t a necessarily bad thing to do, but the amount of money you spend to get there may be greater than what you’re saving. You don’t want to actually end up spending more than what you’re saving just because of transportation costs, do you? A lot of people don’t take gas or transportation into account if they’re going out of their way to catch a great deal, so keep this in mind the next time you want to drive somewhere far away for a certain deal. A lot of people will always go for the cheapest option in order to save money. However, as you probably know, cheaper isn’t necessarily better. Sometimes it’s worth the money to choose a more expensive item. For instance, you may buy a $30 pair of dress pants for work that you need to replace or mend frequently instead of buying those $70 or $80 pants that would have lasted years. While going for the cheaper option isn’t always bad, it’s not always the best choice. Not all sales and deals are designed to save you money. Sometimes they’re designed to make you spend money on items you wouldn’t normally purchase. For instance, some bulk deals are actually more expensive than buying the normally sized items. Some products are actually marked up before they go on “sale”, meaning that you’re paying close to what you would have had the item not been on sale in the first place. While it’s not always possible for everyone to easily increase their income, a good goal to aim for is increasing your income instead of decreasing your spending. If you’re in a bad financial situation, saving money might be hard enough already. You might want to think about other ways to earn money to lighten your load, even if it means taking on a second job or freelance opportunity. Do you have an investment broker or someone who manages your finances? Do they charge a hefty fee for their services? Why not do the research yourself for free instead? Paying someone to manage or help save your money is incredibly counterintuitive. Most of the resources to help you save can be found online. Coupons can be a great way to save money, but have you ever caught yourself buying something just because you had an applicable coupon? How about purchasing a “buy two, get one free” deal even though you didn’t want three items? Or what about the coupons that advertise $1 off if you purchase two items? Sometimes coupons aren’t as great of a deal as they first appear. Saving money is an important part of most people’s finances, but sometimes people are way to severe and limiting with their finances. You can pressure yourself to save, but sometimes you also need to reward yourself. Look at it this way – one of the hardest things about dieting is cutting certain items cold turkey. That often makes you want those treats even more, to the point that you cheat and eat them anyway. You may find that rewarding yourself every once in awhile by buying something you desire helps you to become better at saving. A little indulgence can go a long way. 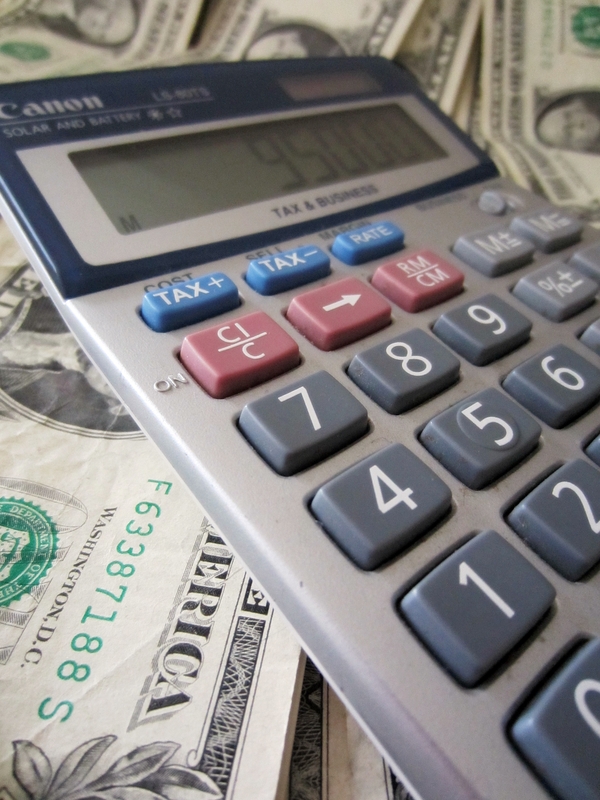 Of course, basic math or accounting skills will greatly help you manage your finances. While a lot of people don’t know how to balance a checkbook these days, it’s still an important skill to learn. Basic accounting skills allow you to draw up budgets and set up net worth tables, which you will need to get an accurate picture of your cash flow and wealth. You probably should also learn to do complex math in your head. a At a bare minimum, you will want to learn to calculate compound interest and estimate expected monthly payments on a loan given the principle and interest rate. This is especially important when deciding between two loan options. If you want to keep track of how much money you spend or what you’re spending money on, it’s important to stay organized. Keep all your receipts, bills, and financial statements in file folders so that you have easy access to them if a problem or question arises. You should be keeping all of these items anyway, but keeping them in an organized file cabinet or file folder will help you out in the long run. This is also important because your major financial expense is likely to be income taxes. You’ll want to have good records so you can minimize your taxable income and therefore the amount you need to pay in taxes. If you have a lot of bills to pay or financial issues to take care of within any given month, the ability to prioritize is an important skill to have. For instance, if you’re having trouble coming up with enough money to cover all your bills one month, you need to prioritize how you spend your money and which issue is the most important (such as paying the heating bill instead of the cable TV bill). Hint: pay your rent or mortgage first. In addition, a large part of successful personal finance is goal setting. You probably have limited resources and will need to decide how to allocate your resources. In this case, think focus. Maintaining a tight focus on achieving one single goal greatly increases the chances that you will get there. Decision making skills are also very important when it comes to improving your finances. You may need to decide how to eliminate excess spending or how to prioritize your spending habits. Your financial decisions can be stressful, so it’s important to be able to make good decisions about your money. One way to do is is to make a list of all the advantages and a list of all the advantages of a particular course of action. If there are more advantages than disadvantages then your decision is clear. Don’t make any major decisions if you are tired, in an emotionally agitated state or under the influence of drugs or alcohol. Have you ever tried to read the fine print on a credit card statement or a loan statement? Maybe you’re singing a lease for a new home or apartment and are struggling to understand the legal language on each page. Maybe you don’t know whether a 23% interest rate over a five year period is better than a 15% interest rate over a two year period. Having strong analytical skills will help you determine whether certain financial deal or situations are beneficial or not. Problem solving is also another key skill that will help improve your finances. You might need to take action if you suddenly notice a charge on your credit card statement that you don’t remember making. Or you may need to solve the problem of how to reduce your debt or how to finance a house or car. Having strong problem solving skills will help you out if you ever find yourself in a tricky financial situation. Problem solving is key because a lot, if not most, financial decisions involve more than one person and often involve important deeply values such as safety or security. Research skills are incredibly important because you always want to research various loans, credit cards, banks, or products before deciding on anything. What happens if you decide to go with one credit card only to find out that you could have been approved for a different one with a lower interest rate? Having strong research skills will help you determine what financial choices and solutions are best for your situation. Good communication skills will help you discuss the terms, conditions, and any problems that arise with any of your financial accounts. While strong communication skills may not be the most important skill to have when it comes to improving your finances, they’re still an important skill to have regardless. For example you may need to call to reduce your credit card rate and having good communication skills can help you have a pleasant interaction with the customer service staff you deal with. Are you an impulse spender? Do you have trouble saving money? Do you have a habit of buying items you already have? Not having self-discipline can be detrimental to your finances. A lot of people blame their financial problems on their lack of self-discipline. Having self-discipline can stop you from making unneeded purchases or straying from your financial goals or plans. In this day and age most people use technology to maintain their finances. Whether it’s paying bills online or signing up for loans or credit cards through an online server, you need to be savvy about how to use technology. This is especially important because a lot of new exciting applications are being developed exclusively for smartphones and internet in silicon valley. Notable examples of this trend are companies like Loyal3 and Robinhood. Both of which are leveraging technology to offer stock trades at zero cost. Being technologically savvy will definitely help improve your finances and give you access to services that brick and mortar shops can’t offer. For more on this, please check out our articles on five money management skills that can help you save money and key skills needed for personal finance. In high school, most teenagers don’t have to worry about saving their money or budgeting for rent, groceries, or bills. If they work, they usually only work so they can spend money at the movies or the mall. However, learning how to budget is an important financial topic that should be taught, as it’s probably one of the most important life lessons. Knowing how to allocate your finances each month will save you a lot of frustration. It will also help you figure out how much money you have to spend. As a high school or college student, the idea of taking out a loan seems easy. Moreover, loans seem like free money. Of course, they quickly learn that you need to pay loans back and that loan collectors will relentlessly hound you for payments. If high school students don’t learn about loans in high school, then they definitely don’t learn about interest rates and repossession, two negative consequences that result when a loan is not paid off in full. Insurance is a topic that briefly comes up in high school, but is rarely expanded on. High school students know that they should buy car insurance if they drive, but they’re never given a more detailed explanation about what insurance covers. It’s important to teach them about all types of insurance, from renter’s insurance to car insurance to life insurance. It’s also important to teach them how to choose a good insurance based on their specific needs and financial situation. Debt is a scary word, especially to a high school student. However, it’s necessary to teach them about it so they can avoid falling into debt later in life. With college tuition at an all time high, it’s easy for a teenager to fall into debt. This financial topic should be taught in school in order to prepare students for the future and to teach them about managing money. Getting a credit card can seem exciting. You suddenly have access to an easy way to buy items now and pay for them later. It’s so easy to swipe a card and not worry about paying for it until the bill arrives in the mail. This is a trap that many high school or college students fall into, and it’s a trap that they desperately need to avoid. Teaching courses around credit card management would help teach high school students about credit card debt and managing their purchases. Credit scores rarely make the cut when finance topics come up in high school. They should, as your credit score is one of the most important aspects of your financial profile. It determines what credit cards or loans you can apply for and how insurance companies or rental agencies view you. It can even impact you getting a job. Gaining credit and keeping a high credit score is something that needs to be taught early on. It’s very easy for someone to make their credit score plummet, but it’s incredibly hard to raise a low credit score. Interest is often discussed in math class at some point over the high school curriculum, but it’s rarely discussed in terms of real life situations. In financial terms, it’s important to discuss how interest rates work and affect both payments and statement balances. 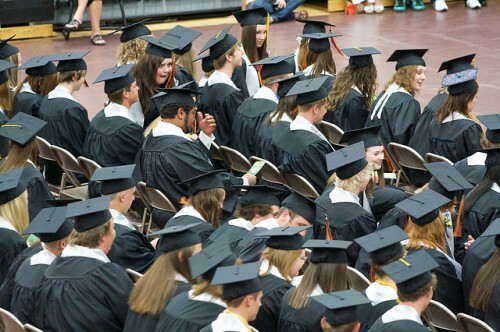 It’s especially important to teach high school students the importance of paying off a balance to avoid high interest rates, which usually occur on loans and credit card payments. Interest rates are one of the biggest wastes of money and one that should be avoided if possible. Naturally, a high school student isn’t going to be thinking of retirement savings. At 18, why would they be thinking of something that’s at least 50 years away? However, they should be taught about the benefits of saving for their retirement. A great way to broach the topic is to tell them how much money they’ll be making by investing in a 401K. For instance, if you put in as little as $50 a week from your paycheck, you’re saving a bit more than $200 a month and $2,600 a year. Over the course of 50 years, you’ll have $130,000. If your employer matches your 401K contribution up to a certain amount, so this means you could have as much as $260,000 not even counting interest. With interest, you would have well over $1 million for a mere $50 a week. A lot of high schools actually teach students about stocks and investments. Schools that don’t have this in their curriculum should consider it. Stocks and investments are a great way to earn additional money. Of course, it’s an activity that needs to be carefully researched, but it’s a financial topic that students should be aware of. Most high school students know about taxes. They’ve either had to pay income taxes or have heard their relatives complain about paying real estate, income, or federal taxes. But most students don’t realize how taxes affect them. When they get their first job, they tend to forget that their hourly or yearly salary is presented pre-taxes. Learning about taxes is an important step in helping them budget and one that should be taught so they can better manage their money. Money doesn’t provide happiness. It’s a lesson that many people still have a difficult time remembering today. 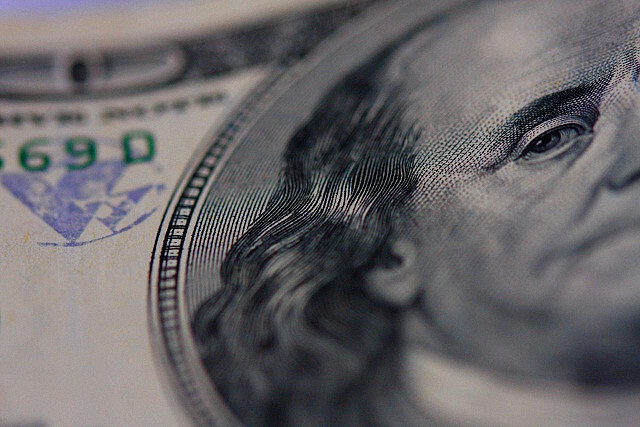 Ben Franklin knew that money was a means to an end, not the end itself. It’s a tool to help you do the things that make you happy, but it can’t bring happiness just by having it. And if you think that it will bring you happiness, you will always be seeking more because it will never fulfill what you hope it would. When people think about investments, they usually think about getting the best interest return on their money. But Ben Franklin knew the best overall return you can get on your money is by investing in yourself and improving your knowledge and skills. When you invest in yourself, you widen your opportunity by being able to do more things. As he says, invest in your knowledge will give you the best return on your money. When you see someone that you think is financially lucky, chances are that there was a lot of hard work and diligence that went into that luck. “Luck” usually comes about due to a lot of factors most people never see. An overnight success usually took years of hard work to make happen. Benjamin Franklin knew that the “luck” that others seemed to have came about because they had done the work to take advantage of it when it appeared. Everyone will fail from time to time, and this is actually important. In order to improve and get better at anything you do, you will make mistakes along the way. If you begin to fear mistakes, you’ll stop doing the important things you need to do because of this fear. Failure is a part of the learning process, including your finances. Don’t fear those mistakes you make, but learn from them. This is one of Benjamin Franklin’s most famous quotes, and it’s still one of the most useful for modern society. The adage states that saving money is the most important factor in financial stability and building wealth. Benjamin Franklin knew what he was talking about when it came to saving money, as he was able to put enough aside to retire fairly early. This lesson goes hand in hand with the first lesson. If saving is the most important way to build financial stability, then it’s equally important to learn how to save. In this quote from “Plan for Saving One Hundred Thousand Pounds,” he suggests splitting monthly expenses in half. One half is allocated toward necessary amenities such as rent or food, and the other half on superfluous things like entertainment or luxuries. He goes on to say that by buying used items, or limiting the amount you spend on entertainment can help you save money. This quote comes from a story that happened during Benjamin Franklin’s childhood. When he was seven, he saw another boy blowing a whistle and wanted the toy for himself. He offered the other boy all his money in exchange for the whistle. He later learned that he had paid more than four times what the whistle was actually worth. He learned an important lesson that many people still need to learn: don’t overpay for items. This lesson cautions people against living beyond their means. This is an important thing to learn as many people in today’s society often fall into debt because they spend money they don’t have in order to life a lifestyle they can’t afford. Living with debt severely impacts your lifestyle and you should do everything you can to prevent it. Readjust your lifestyle if it means you won’t succumb to debt. We all know that debt is an awful, stressful experience. As the previous two items on the list suggest, it’s important to not overspend on items so you don’t go into debt. As Benjamin Franklin says in this quote: when you go into debt, you’re giving up your freedom. When you’re so far in debt, your life choices start revolving around paying off that debt. Your first priority is the debt, and everything else is secondary. Benjamin Franklin cautioned people against letting money control them. Everyone wants to be financially stable and wants to make enough to buy the things they desire, and it’s easy to convince yourself that your life will be better with more money. But be careful that you don’t let your greed for money control your life. Some people will go out of their way and do risky things for money, sometimes ending up in debt or bankruptcy. Don’t let money control your life. Because we live in a society that runs on consumerism and capitalism, people tend to over buy. One of Benjamin Franklin’s best money lessons is admonishing people for consistently buying items they don’t need and can’t afford. We’re all guilty of buying items we never end up using. If you’re looking to save money, consider whether or not you actually need the item you’re thinking of purchasing. Are you only buying it because it’s there in front of you, on sale, or convincingly advertised? A lot of people try to live beyond their means or compare themselves with neighbors, colleagues, friends, or strangers. If someone has a luxury car or designer clothes, they suddenly want it too, even if they can’t afford it. But why worry over these status symbols? If you can afford to buy them – great! If not, stop comparing yourself to other people and focus on buying what you can afford. This is another great lesson on how to avoid debt and save money. The longer you have loans or credit card debt, the more money you’ll end up paying in interest. This lesson is also useful for those times when you borrow money from a friend or family member. Paying it back in a timely manner is not only polite, but it means they’ll be more likely to lend you money again. This quote is especially relevant in today’s economy. Your financial stability might be secure one day and ruined the next. You never know when you could lose a job or suddenly win a million dollar jackpot. No matter what your current financial situation is, you know that you’ll always have expenses to pay and you should factor that into your daily life regardless of your personal wealth. For more about Benjamin Franklin pick up a copy of The First American: The Life and Times of Benjamin Franklin . The book has something like 14,000 reviews on Goodreads.com with an overall rating of 4.19 out of 5. Fourteen thousand favorable reviews can’t be wrong. It retails for under $15 bucks so pick up a copy . If you’ve ever been to any historical or cultural site, you’ve probably seen or taken a guided tour. Tour guides have to do a serious amount of walking several times a day, as they tend to give multiple tours during one shift. If you’re looking for a part-time job, becoming a tour guide is not only a great way to get exercise and make some money, but to become more involved in a cultural or historical site in your town or city. Did you know that many of the people who teach courses at gyms only do so part-time? All it takes is a certification class and some knowledge of the area you want to teach, and you’re good to go! If you want a good workout and some decent money, consider teaching a gym class, whether it’s a spin class or yoga class. You can also teach classes at your local YMCA. Youth and intramural sports are always looking for qualified referees for their games. You’ll get quite a workout referring such sports as soccer, lacrosse, hockey, or football, since you need to be just as quick on your feet as the players. Some divisions and leagues require certification and previous experience to referee, however, so before you go ahead and look up referee jobs, make sure you’re actually qualified. One of the easiest ways to make money while exercising is by dog walking. 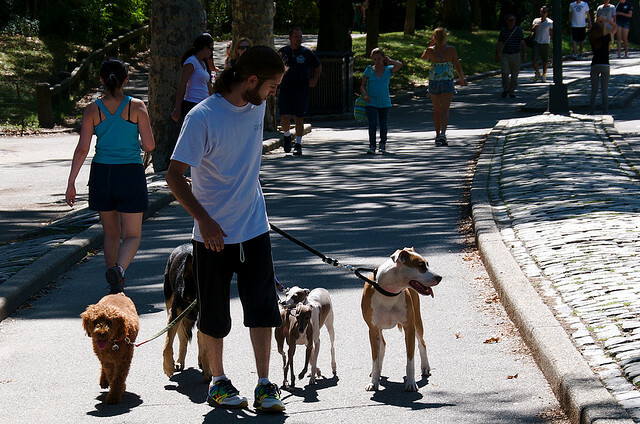 If you live in a city, you’ll have no trouble finding people who need their dogs walked while they’re at work, away on vacation, or busy on the weekends. You can make good money dog walking, too, sometimes upwards of $50 for a one hour walk. If you have a couple dogs you walk at once, you’ll not only be raking in a decent amount of cash, but will be getting a good workout as well. Mowing lawns is another great way to make some money while getting a workout. There is even a thing called the lawnmower diet. A lot of people have no interest in mowing their own lawn and if you have the time to push a lawn mower around a yard, you’ll earn some cash and get a workout. A lot of people will pay good money for construction or landscaping projects. Landscaping or construction can be a part-time side job or a career, depending on your interest, but it’s definitely a way to make some decent money. There’s also no question that you’ll be getting quite a workout regardless of whether you’re working on a small or large scale project. You may think that bike couriers have gone out of fashion, but they’re actually still used in many major cities. With the rise in bicycling, many companies prefer to use bicyclists to help promote an environmentally friendly image. Biking across a city to deliver a package or a takeout delivery is a job that requires a lot of athletic dedication. Not everyone wants to bike four hours on a time, after all. Become a bike courier is a great way to get an intense workout and make some extra money. Do any of your friends, family members, or neighbors need seasonal yard work done throughout the year? Maybe someone doesn’t want to rake their leaves in the fall or clean their gutters in the spring or shovel snow in the winter. Yard work always works up a good sweat, and if you offer your services for hire, you can make that exercise worth your while. Many youth camps are constantly in need of workers during the peak summer hours. Youth camps are very into physical activities, whether it’s pickup sports games or general camp activities. Whatever events and games you may have to participate in, you can bet that you’ll be exhausted by the end of the day. If you love working with kids and being outdoors, working at a youth camp might be the perfect way for you to make money while getting a workout. Have you ever wanted to work at your favorite ballpark or golf course? Why not get a job as a caddy? Even a job showing people to their seats at large arenas is sure to give you a good workout. After all, walking up and down all those flights of stairs is far from the normal sedentary desk job. If you happen to be great at a specific sport, aerobic activity, or fitness routine, get your certification and teach a class. This way you’re actually partaking in a fitness routine while getting paid to do so. Best of all, if you choose to teach a group class, you’re going to make a significant amount of money. You must be wondering how you’re going to exercise while giving a massage, right? After all, massages are supposed to be relaxing and not at all energizing. But did you know that you can lose 300 calories by giving someone an hour-long massage? Being a masseuse requires a lot of upper body strength and it’s a surprisingly good workout. People pay a lot for massages, so you can also set a decent price for your services. Many people are looking for someone to do odd jobs around their house. This could range from fixing broken appliances, renovating a room, landscaping, running errands, cleaning, carrying furniture, or helping move large items. While some of these activities will be more of a work out than others, you’re still getting exercise. And if someone’s paying you to help them out, why not do it? These are just a few suggestions to get your creative juices flowing. There are actually dozens of more ways that you can get exercise and make money at the same time. It’s worthwhile taking a moment to consider how you can do this in a way that suits your lifestyle and you may find that getting in shape can actually make your bank account a little heftier.